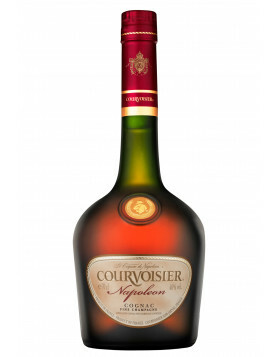 The level of the cognac: Mid shoulder: the level of cognac has reached the middle of the shoulder. 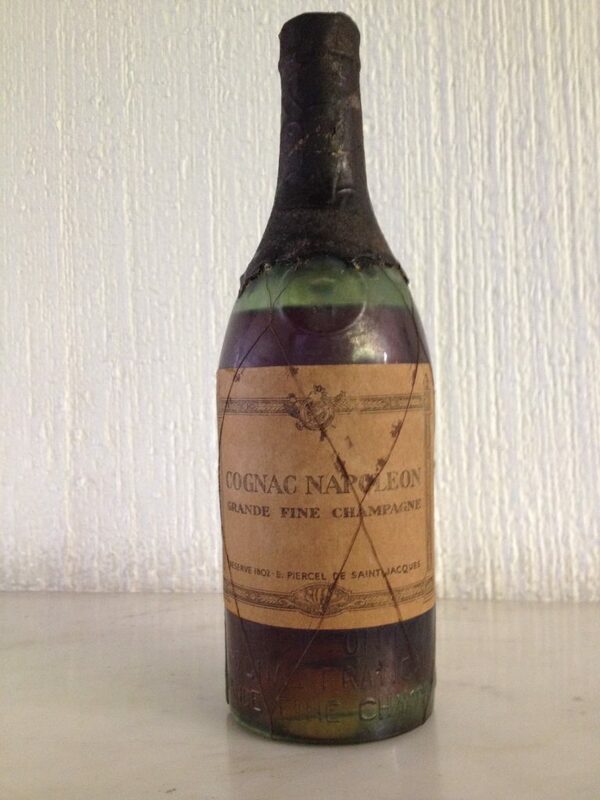 Our reader would like to sell this bottle of Cognac Napoleon Grande Fine Champagne. Sellers please note: ​ ​To be put in contact with potential buyers, we ask for the service to be supported by paying a nominal fee of 5% of the final price agreed , ​min. $20, to a max. of $300. These amounts help us improve the blog and make the website better for bottle owners, collectors and everyone else who uses it. And naturally, in the event that you don’t end up completing the sale of your bottle, this amount will be refunded. En 1985, j’ai acquis la Maison Piercel et bien entendu, connu le propriétaire qui n’a jamais rencontré Napoléon et pour cause , il approcherait de son 200eme anniversaire !!! Et pourquoi ces bouteilles se trouvent au Mexique ? 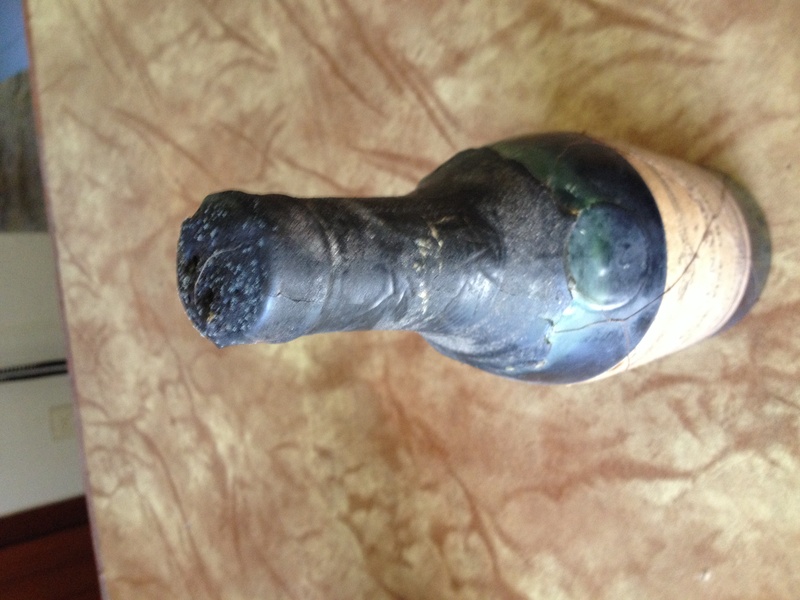 Ohh, lucky lucky You, to possess such an old bottle of cognac. 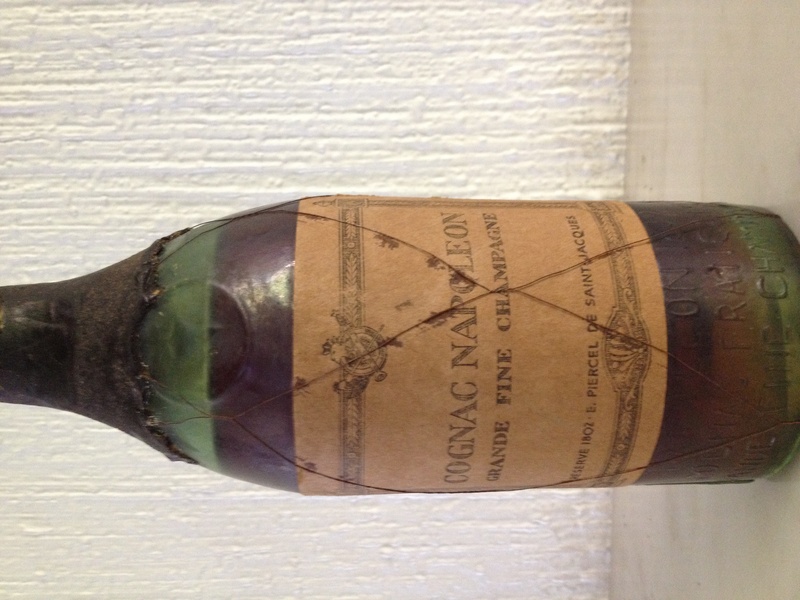 Why shouldnt it be genuine with a cognac blend from 1802 stored in cask or bottles maybe to 1820-30, and then sold? 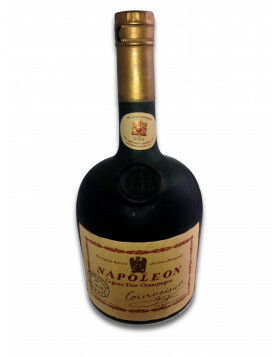 A lot of cognac firms claim to have been fournisseurs to Napolen I, especially with that large cask of cognac being stored in HMS Northhumberland when leaving France for S:t Helena with Napoleon on board. 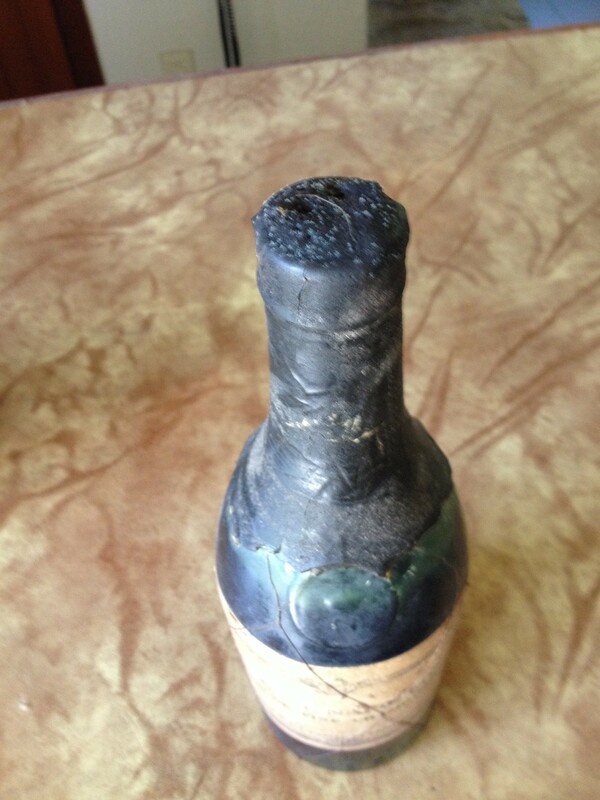 Do not open the bottle, but keep it as a souvenir. Could taste heavenly but also just like leather. The considerable “Angels Share” proves the authenticity. Why in Mexico? Who knows? 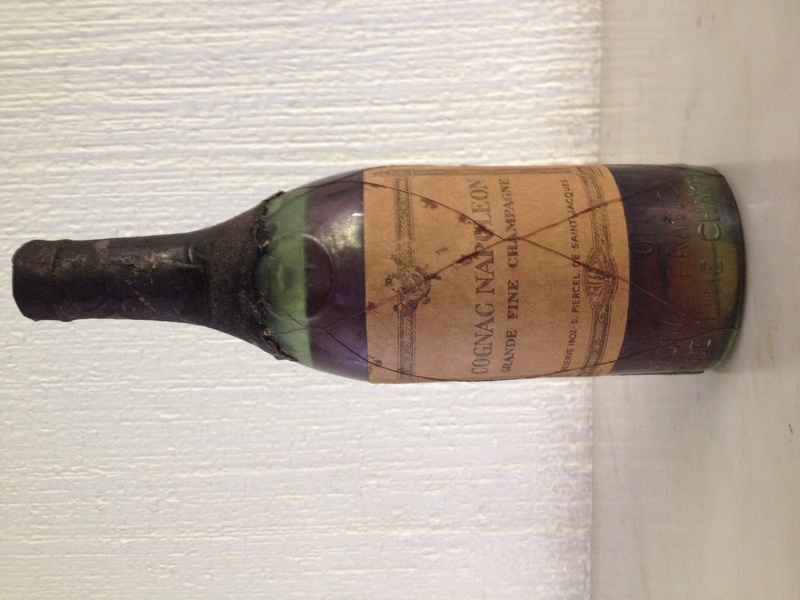 Maybe imported by General Santa Anna, claiming to be “The Napoleon of the West”? En complément du 11 Mars 2016, je confirme que j’ai géré cette entreprise de 1968 à 2002 et que par exemple la pose de la cire chaude sur le col de la Bouteille se réalisait tout à fait différemment de ce que l’on constate sur la photo ! You do not write to my note on Piercel. Who is ? 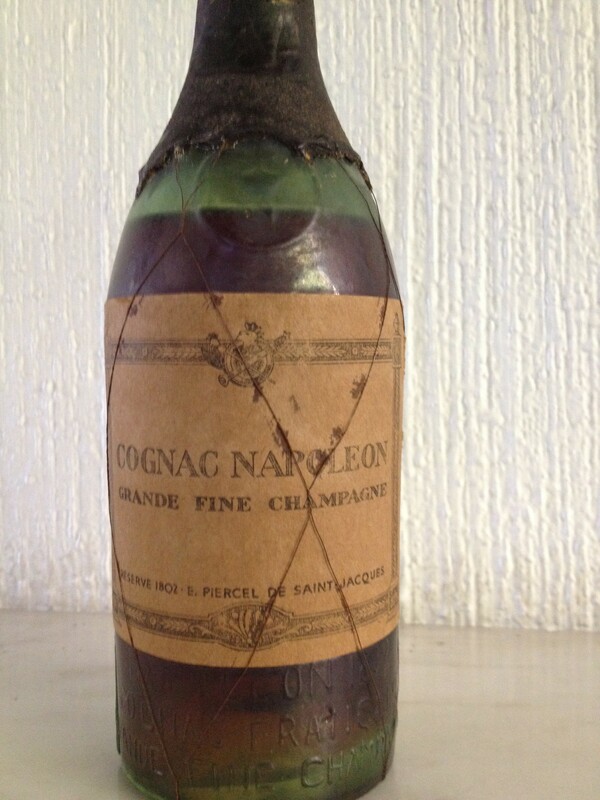 Know where he would have exercised his profession, because you tell me that Napoléon would have won the Cognac in barrel. How would it be bottled? Bottles of cognac from that time, I had more 500 bottles, but guaranteed by the french State. I still have for sale on some internet sites. It comes to Foucauld. So, for pity’s sake, do not attempt to teach me what is my life. Il ne faut pas oublier que le général Santa Anna, empereur du Mexique, était un grand amoureux de la France et un admirateur de Napoléon. Ne doutez pas que le général a notamment demandé ces bouteilles, telles que les chandeliers et les bijoux les plus chers que la France ait fabriqués à cette époque.